Inverness is the northern most city of Scotland, in Gaelic it is called Inbhir Nis which means Mouth of the River Ness, which flows in the nearby Moray Firth. 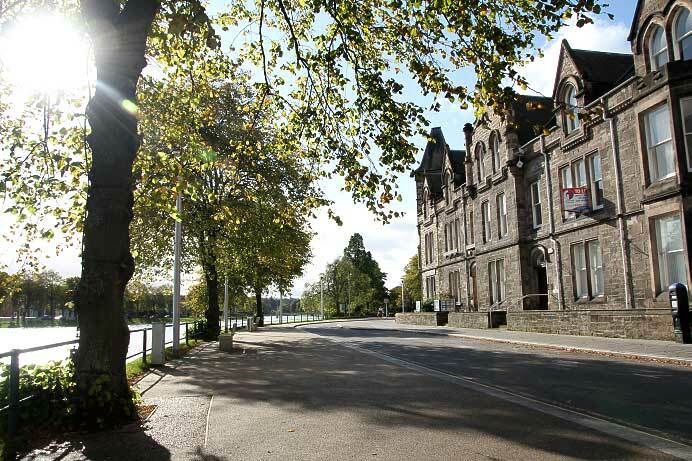 The capital of the Highlands is also the administrative centre of the Highland Council. The current population of Inverness and surrounding suburbs is around 75,000 people and this figure is likely to rise since Inverness is one of the fastest growing cities in the UK, also economically. The city has seen its fair share of battles in earlier times and the nearby battlefield of Culloden is one of the silent witnesses. It was only ten years ago, in 2001, that Inverness got its City status. The location of Inverness is also interesting from a geological point of view, at the end of The Great Glen which follows a large geological fault known as the Great Glen Fault. It bisects the Scottish Highlands into the Grampian Mountains to the southeast and the Northwest Highlands to the northwest. Also interesting is the weather. On several occasions I’ve found out that the weather can contrast considerably to that of the mountain areas in the west or east where rain and clouds tends to linger while sunny spells have already reached this part of Scotland. But don’t let this information fool you, rainfall will occur on average about 229 days a year, the least in spring and summer, the most in autumn and winter. April to August are the sunniest months. 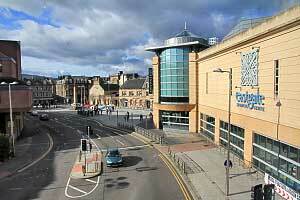 Being the northern most city of Scotland, Inverness is also a very important transport hub. A good start was the construction of the Caledonian Canal in 1822, completed by Thomas Telford, linking Inverness to the west coast of Scotland. The Caledonian Canal is a popular waterway nowadays for pleasure boats since it’s no longer in use for commercial vessels. For road travelers the A9 south links Inverness with Edinburgh and to the north across the Kessock Bridge to the north-west Highlands. To the east, the A96 links Inverness to Nairn and on to Aberdeen. To the south-west, the A82 connects Inverness to Fort Augustus and on to Fort William. Inverness also enjoys good rail links to the towns of Thurso and Wick, east to Nairn and Aberdeen, south via Aviemore to Glasgow, Edinburgh and London, and west on the famous scenic route to Kyle of Lochalsh and the Isle of Skye. Inverness Airport, nine miles from the city centre, offers daily flights to and from airports throughout the Highlands and Islands as well as Dublin, Manchester, Edinburgh, London and Amsterdam to name a few. These flights are carried out by Highlands and Islands Airports or individual carriers such as Easyjet or Flybe. If you arrive by car and follow the signs city centre you’ll be pleased to know that there is enough parking space available. Besides various smaller car parks there is The Old Town Rose Street car park which offers over 850 spaces and The Eastgate Centre has 2 car parks accommodating 1,350 cars. Parking charges are very reasonable. 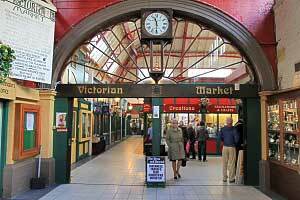 The railway station is situated in the heart of the city, opposite the Victorian Market. 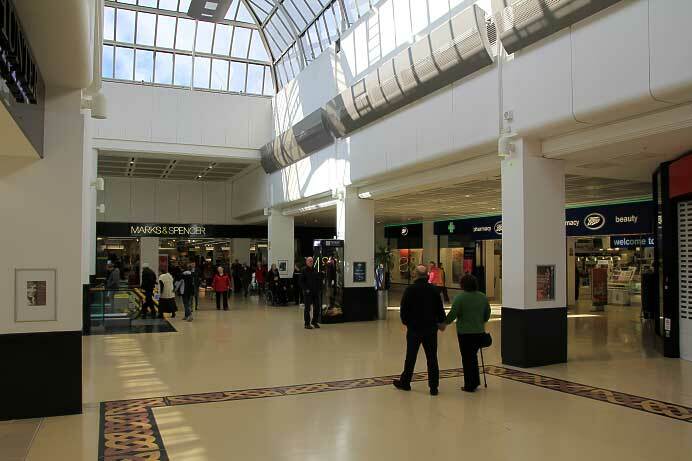 The main shopping area of Inverness is situated on the east bank of the River Ness and is located roughly between the two car parks, the railway station, Friars Bridge and Cathedral. If you’re into the latest fashion shops and like large and crowded shopping centre’s I can recommend the covered Eastgate Shopping Centre. There are around 60 stores offering almost everything, from clothing, books, beauty and music to food and cafe’s. 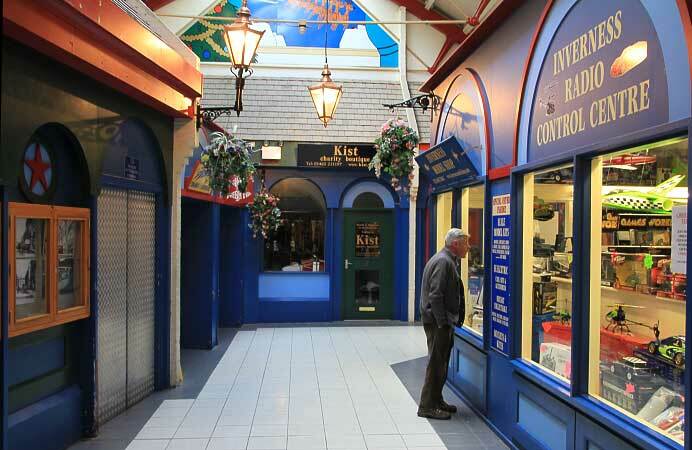 Another nearby covered shopping centre is the Victorian Market which is far more interesting and goes back a long time. 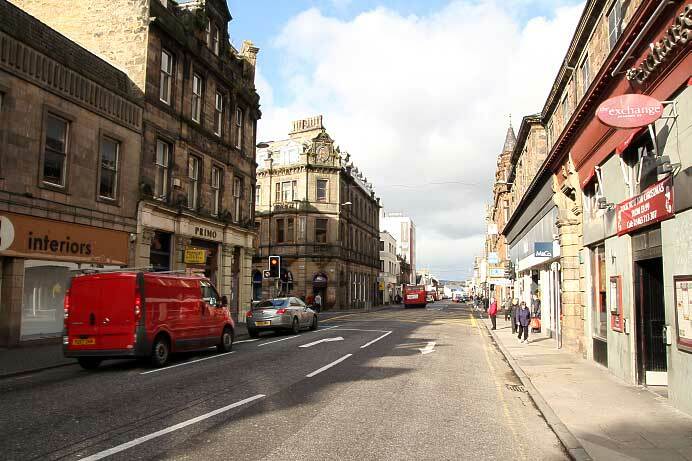 The first covered market in Inverness was built in 1876-70 but it was destroyed by fire although the original sandstone entrance in Academy Street remains. 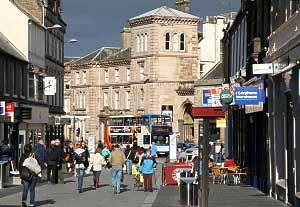 Following the fire the Victorian Market was rebuilt by Inverness Town Council in 1890-91. Nowadays the Victorian Market is a beautiful shopping centre which has many small shops such as gift shops, florists, news agents and many other traditional shops. The Victorian Market is a wee gem and I can recommend to spend some time here and enjoy the special shops as well as the architecture and historic prints on the walls. Shopping in Inverness doesn’t end in the two covered centres. High Street connects the Eastgate Centre with the River Ness and here you can find even more shops and restaurants. 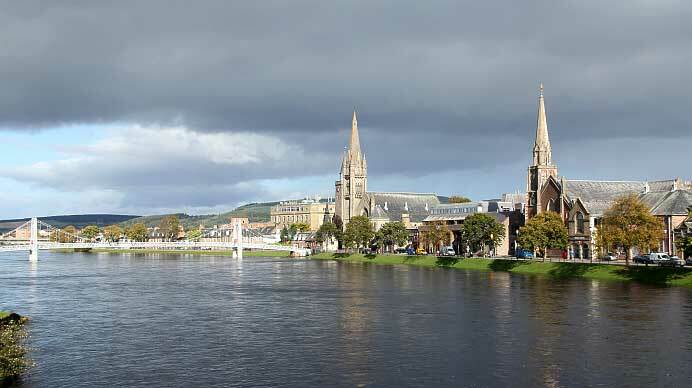 A visit to Inverness should also include a walk over the Ness Bridge and a stroll along the banks of the river which offers beautiful views of this bustling city. And if you do walk here make sure to head south on the west bank to visit St Andrew’s Cathedral, an impressive building built in 1869. Looking back to the east bank you can see Inverness Castle sitting on a wee hill right next to the River. It was built in 1836 by architect William Burn. The castle is not open for public, the grounds are. 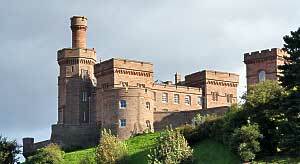 The castle is home to the Inverness Sherrif Court. Entertainment can be found in Eden Court, a recently rebuilt theatre that offers two cinema’s as well as dance and drama studios. 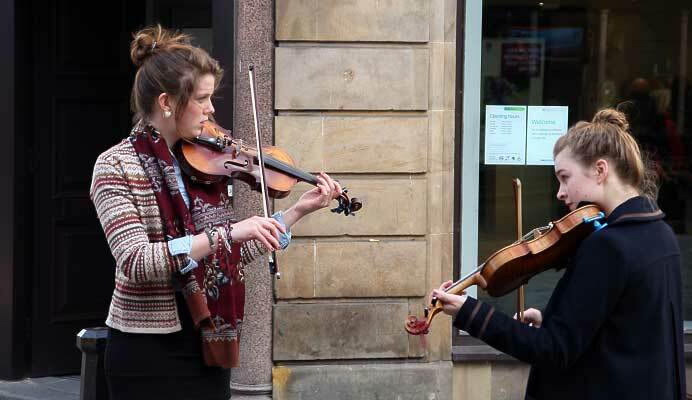 For more intimate entertainment you can visit the various pubs with live music. Being in Inverness can feel somewhat overwhelming when you’re holidaying in the more remote parts of Scotland but a visit is highly recommended if not obligatory. 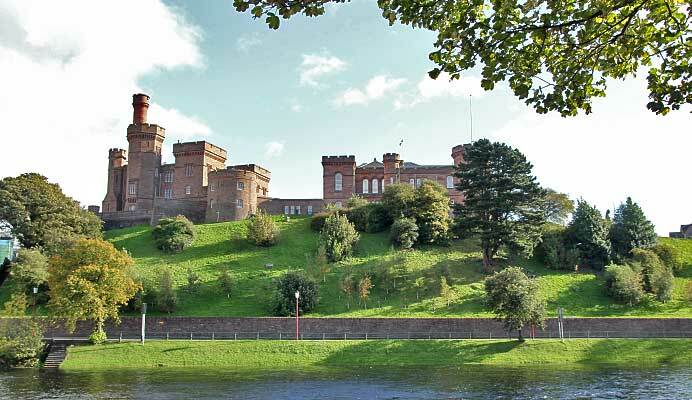 Besides a very interesting and welcoming city, Inverness is also a perfect gateway to discover the northern part of Scotland and there are many interesting tourist attractions close by such as Fort George, The Black Isle and Chanonry Point, Nairn, Beauly and the Cairngorms.